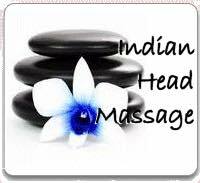 Indian head massage is based on the ayurvedic system of healing which has been practiced in India for over a thousand years. It provides Indian families with relaxation and healing on a daily basis, as well as playing a part in rituals such as weddings and births, not to mention everyday events like a trip to the barber. The client, fully clothed, sits in a massage chair for the treatment. The therapist uses a range of different movements including application of deep kneading and compression movements over the neck, shoulder and scalp areas. In addition, the therapist will also gently stimulate and stroke pressure points on the face. The session will usually last from twenty to forty-five minutes, and most therapists like their clients to sit quietly for ten or twenty minutes once the massage has been completed. Following a treatment some clients experience tiredness, dizziness, an increased desire to urinate (as the body eliminates toxins and waste materials) or aching muscles. All of these side effects usually last for no more than a few hours, after which clients generally experience increased energy and alertness. Indian head massage should be avoided if you have had recent surgery, or a head or neck injury; a history of thrombosis or embolism; spondylitis or spondylosis. If you have high or low blood pressure, diabetes, Indian head massage is particularly good for reducing the effects of stress and tension epilepsy, any kind of heart condition, cancer or osteoporosis, talk to your doctor before arranging a treatment. Always make sure that you avoid alcohol for at least five hours before the treatment.